CMB Academy of Dance was established in September 2014 by Ciara Kavanagh, and what a first year it’s been! – At Christmas we invited the families in to watch what goes on in a typical class. The students loved having an audience and the parents were beaming with pride! 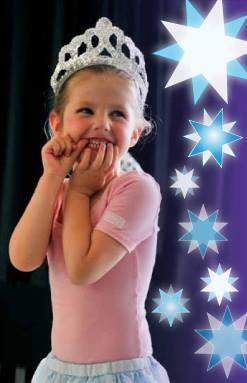 – In March, after just 6 months of ballet training, the Pre-Primaries took their first Royal Academy of Dance exams. We were all thrilled when they received outstanding results. – In May we had an end of year show where families were again invited in to watch a mini-performance. The Pre-Ballet class were Bees and Ladybirds and the Pre-Primaries were Daisies. They all looked lovely in their beautiful costumes and everyone thoroughly enjoyed it. I am so looking forward to next year’s ballet adventures!